Louis Scott obtained his PhD in 1979 for a thesis entitled ‘Late Quaternary pollen analytical studies in the Transvaal (South Africa)’. After a short period with the Southern Oil Exploration Corporation (SOEKOR), Johannesburg, he joined the staff of the University of the Free State. He remained here and has recently retired as a professor in the Department of Plant Sciences. Following in the footsteps of Profs E.M. van Zinderen Bakker and J.A. Coetzee, his pioneering precursors and mentors at Bloemfontein, Louis Scott has single-handedly kept South African palynology firmly on the international map. He has also pioneered the reconstruction of past environments in dry areas of Africa based on analysis of pollen from fossil hyrax and hyaena dung. The wide recognition that he enjoys among his peers is evidenced by his B2 rating with the National Research Foundation and his long-standing collaborations with colleagues in numerous countries. Louis Scott’s research interests include stratigraphic palynology, long-term continental environmental change during the Cainozoic, and interpretation of palaeoenvironmental records associated with archaeological sites. His research has contributed insights into the origin of our current environment by identifying long-term patterns of climate change. Results have been applied in numerical models of vegetation change in Africa and globally. The results of these studies are relevant across the fields of botany, geology, climatology, archaeology, anthropology and palaeontology. He has a prodigious publication record. His papers include reconstructions of vegetation and climatic history in various areas of southern Africa, including the Tswaing Crater with a record of 200 000 years, and give insights into environmental conditions during the Last Glacial Period and the subsequent development of modern conditions. His observations provide key baseline information, which contributes to understanding past human and environmental contexts and climatic change and the effects of global warming. 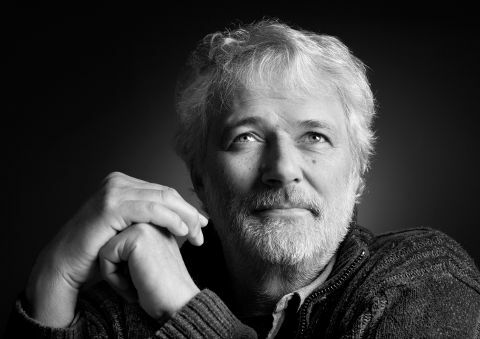 Amongst several memberships, Louis Scott was one of the group of palynologists that formed the prestigious African Pollen Database in 1996 in Bierville, France, and was regional co-ordinator for Southern Africa for IGBP/PAGES Pole-Equator-Pole palaeoenvironmental transects (PEPIII). He is a long-serving member of the Southern African Society for Quaternary Research (SASQUA), having been its President in 1991-1993, and has served the International Union for Quaternary Research (INQUA) in various capacities. He has been Guest Editor and Editorial Board Member for many journals including of the Journal of Arid Environments.